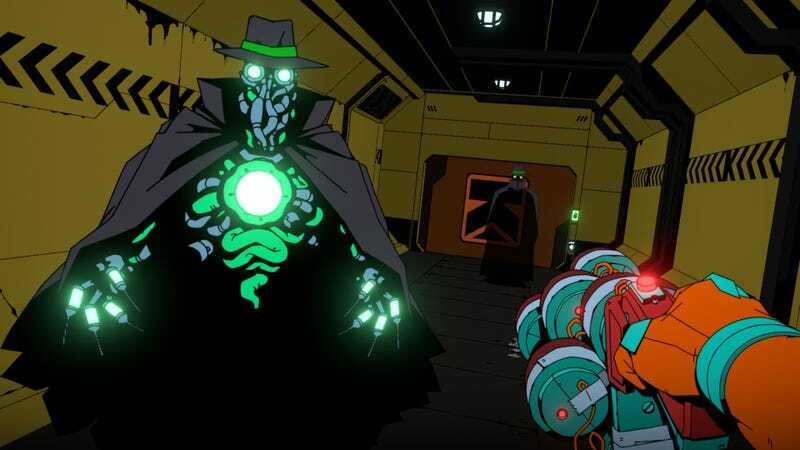 Void Bastards is a strategy-shooter inspired by BioShock and System Shock 2. Void Bastards is a strategy-shooter inspired by BioShock and System Shock 2. In it, you guide a group of prisoners through “derelict spaceships and myriad dangers.” You plot a course, study ship layouts, infiltrate ships, and fight/sabotage/distract your way through them. Also, your distraction tool is a kitty. Oh, and if the aforementioned stew of inspirations isn’t enough for you, my friend and one-time Kotaku guest editor Cara Ellison says Red Dwarf and Douglas Adams influenced the narrative. And she’s the narrative designer, so she’d probably know. It’ll be out next year.